Map of the World. Delineating the Contrasted Longitudinal and Latitudinal forms of the continents: the Isothermal Zodiac and Axis of Intensity Round the World; and the Line of Cosmopolitan Railway and it Longitudinal Feeders. 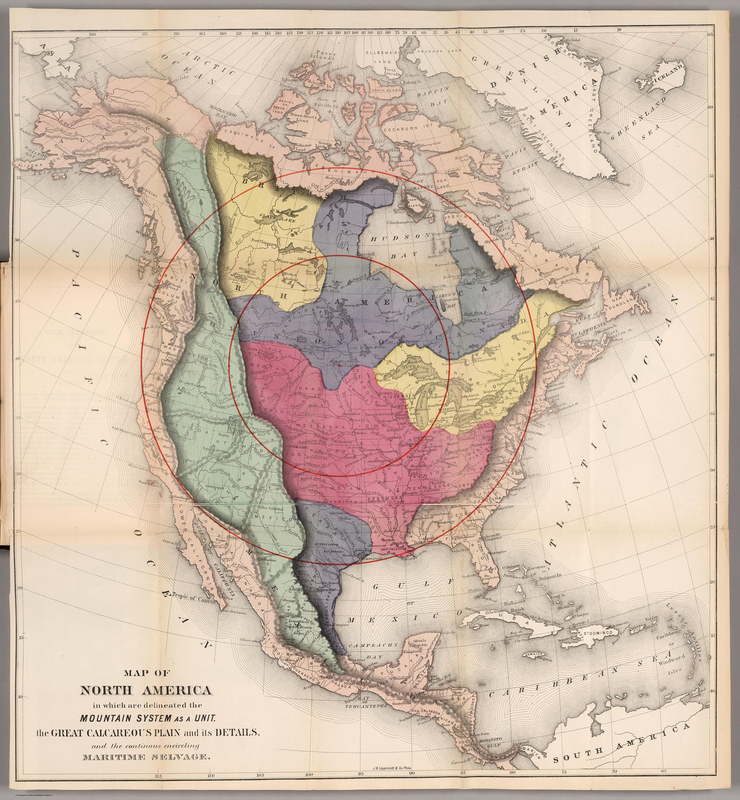 Herein lie a half dozen very odd yet striking maps, published in William Gilpin’s Mission of the North American People (1873). Gilpin, a quaker from Philadelphia, moved west in the 1830s, joining John C. Frémont on his 1843 expedition. Eventually serving as governor of Colorado, Gilpin was a booster of the American West in general with a vision of boundless future prosperity. 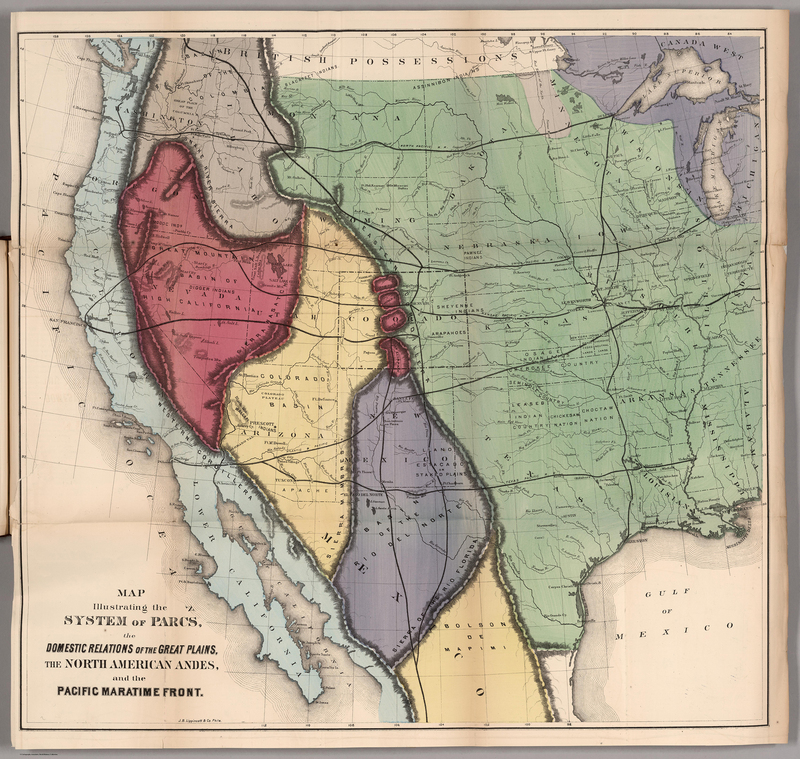 His belief in manifest destiny wedded to odd climatological theories, some of which are mapped out here, promoted his vision of the American West. 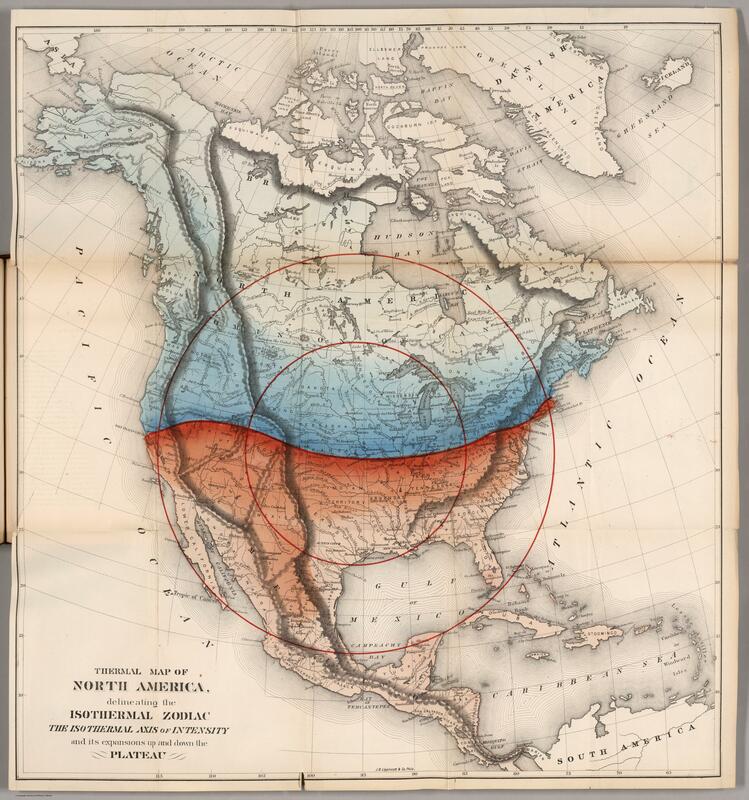 Maps are from Mission of the North American People, Geographical, Social, and Political. Illustrated by Six Charts Delineating the Physical Architecture and Thermal laws of all the Continents. By William Gilpin, Late Governor of Colorado. Philadelphia: J.B. Lippincott & Co. 1873. Maps can be found at David Rumsey’s site as well as the full text of Gilpin’s book at the Internet Archive. 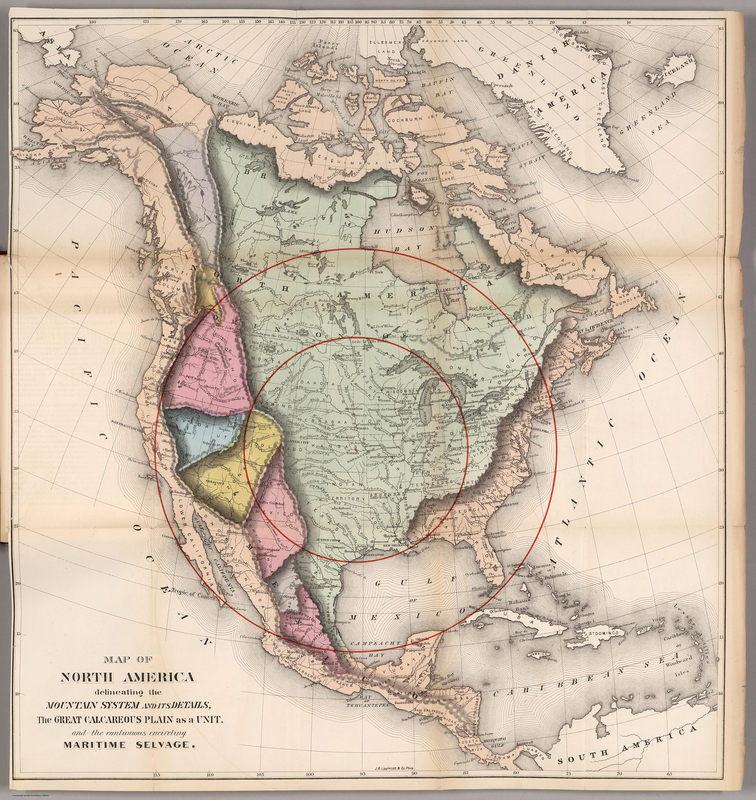 Map of North America in which are delineated the Mountain System as a Unit, the Great Calcareous Plain and its Details, and the Continuous Encircling Maritime Selvage. 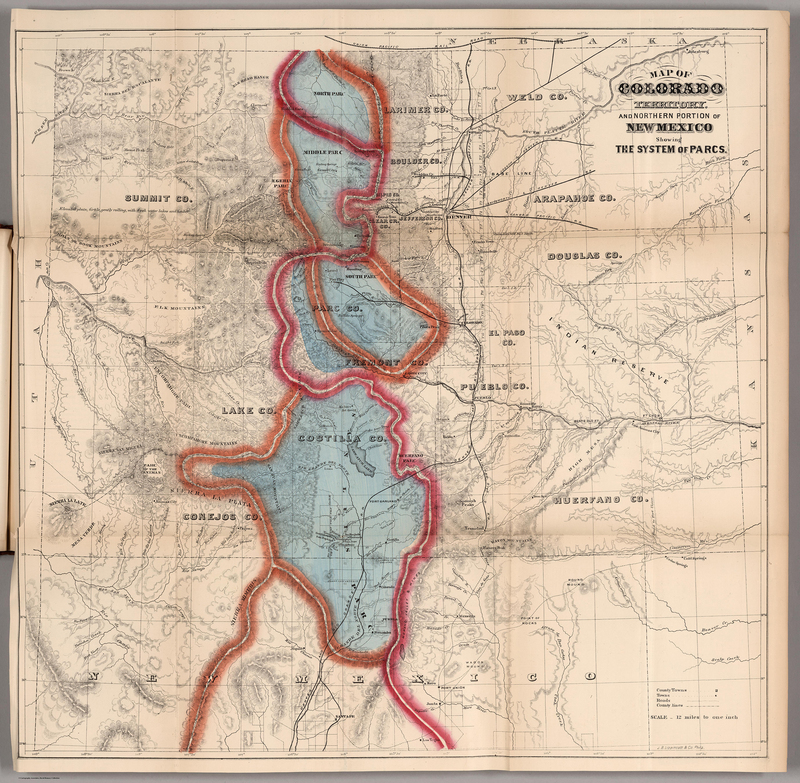 Map of Colorado Territory, and Northern Portion of New Mexico Showing the System of Parcs.